necessary for the NetBeans-generated markup to work properly. 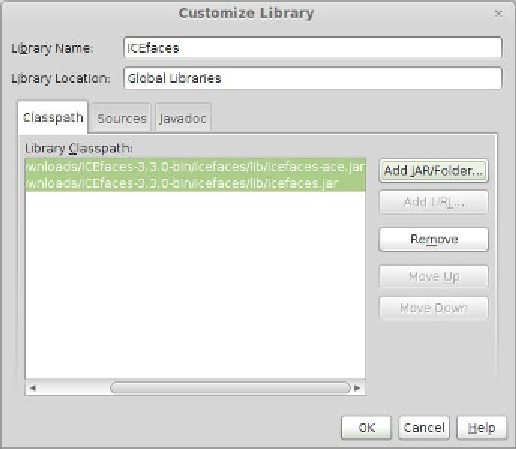 appropriate name (like ICEfaces ), and click on OK .
clicking on the Add JAR/Folder... button to add them to our library.